When you hire a great insulation service, you’re investing with the expectation of long-term energy savings. If you want to save the most money on your month-to-month energy bill, adding the right insulation from ceiling to foundation matters to your Vancouver, Washington home. At Northwestern Weatherization, we care about sustainability just as much as we care about and easing the burden of heating costs. That’s why our mission is not only to complete quality insulation and weatherization projects. We also want to educate homeowners about the best ways they can conserve energy with has earned as an insulation contractor, window installation and duct cleaning service. The most important metric for insulation is the R-Value. This number signals how strong your insulation can hold onto heat. The lower the R-Value, the easier it is for heat to flow outward. 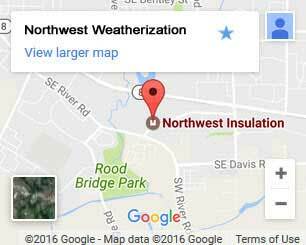 So when it comes to R-Value, Northwest Weatherization goes with the highest and most energy efficient types of fiberglass insulation. 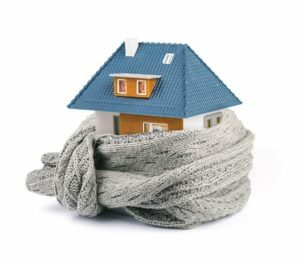 Numerous areas of your home need proper insulation. Attics, ducts, exterior walls, and other places in your home release heat and energy when they’re insufficiently insulated. That’s why at Northwestern Weatherization, we use batts with the highest R value in strategic areas of your home to keep it warm, sustainable, and cost-effective. Wall and flooring insulation–when done to our standards–can reduce heat loss by over 60%. Here are the specific areas of your home that can benefit most from our insulation service, saving you time, energy, and money. When it comes to proper insulation, Northwest Weatherization knows where to insulate and seal up any nook and cranny, attic and crawl space. We have an eye for inspecting and sealing otherwise hard-to-find places that could cost you a bundle in energy expenses. Depending on the R-value and quality of insulation, your attic and roof have potential to be extreme energy savers. Exposed rafters, unevenly placed insulation, or exposed sheet rock can greatly diminish an attic’s ability to retain heat. 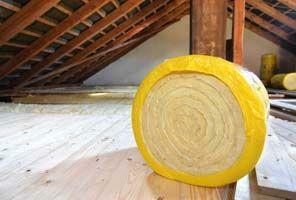 We ensure a properly air-sealed attic, with high-quality blow fiberglass insulation. Insulated walls, conditioning, and air sealing make the perfect recipe for a warm household in the dead of winter. And the higher the R-value of your attic insulation, the more energy and cash you’ll save. Air ducts, when they’re insufficiently sealed or insulated, are major variable for a home’s energy efficiency. Without the best air sealing, unfiltered air could enter your home, bringing in dust, allergens, and bacteria. That’s why your air ducts must be completely air sealed. We make sure there are no spaces between metal, and that every seam, crack, or joint gets wrapped in a quarter-inch of preotective mastic. After we wrap the ducts in insulation, our experts check for leaks to make sure it’s up to our standards. Without Proper Insulation, 35% of Energy in Your Home Is Lost Through the Walls to the Home’s Exterior. Wall insulation, when installed by our professionals, reduces fire risk, increases your home comfort, and saves you a lump sum in energy savings. Our exterior wall insulation meets the new Building Performance Institute standards. Because we service Pacific Northwest homes, we install mold and mildew resistant spray-insulation. Applying this spray insulation to electrical boxes, piping, and ducts will keep your home air-tight. Subfloors are the most overlooked part of a home’s insulative properties. However, floor slabs are just as drafty as your attic–both must be well insulated to keep the home comfortable. Especially during winter months, subfloors without insulation are poor heat conductors. In crawl spaces, issues like mold and mildew abound. We’ll inspect the problem areas of your subfloor, crawl space, and basement. And we’ll install vapor barriers and insulation between floor joists and water pipes. Basements are an extremely common fixture to homes in the Pacific Northwest. These rooms stay cool in the summer and can even be a warm living space in the winter–if properly insulated. When it comes to energy efficiency, basement wall insulation matters just as much as attic insulation. By adding insulation to a basement’s exterior of a newly constructed home, homeowners protect their interior from moisture intrusion, reduce seasonal temperature swings and thermal, and minimize heat loss through the foundation. Adding insulation to the interior basement wall is less expensive and more practical for existing homes. Not only do homeowners save a bundle, they also see less bug infestations as well. There are plenty of tell-tale signs homeowners receive when their insulation is too old. If your home was built in Oregon or Washington before 1995, chances are it’s under-insulated. Or if your energy bill is steadily increasing, perhaps your insulation is losing its functionality. For existing homes, retrofitting for insulation and energy efficiency pays for itself over time. Retrofitting, when done to our standards, involves adding or replacing the fiberglass inuslation you already have with an updated and cost-effective insulation. At Northwest Weatherization, we’re a trade ally of the Energy Trust of Oregon and yearly recipient of Angie’s List Super Service Award since 2013. We’ve done over 5,000 weatherization projects for homeowners in Vancouver, Portland, Salem and elsewhere around Oregon and Washington. We care about environmental impacts from energy use, just as much as we care about the families we serve. Along with insulation, we also do a variety of standard weatherization services, vapor barriers, insulation removal, and window installation. Call us for your next weatherization project. We’ll even give you a free energy audit to clarify what your home needs for weatherization and energy efficiency.